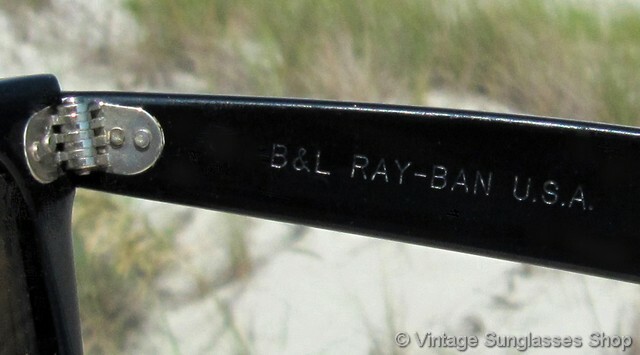 1 Vintage B&L Ray-Ban W0758 black ebony Wayfarer II sunglasses would be fairly unremarkable except for these wonderful B-15 Top Gradient Mirror Bausch & Lomb lenses. 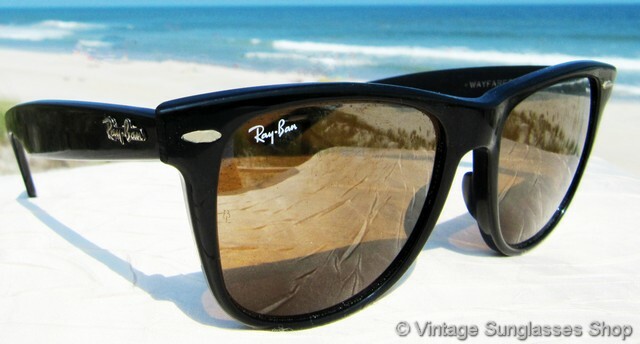 Ray-Ban B-15 lenses are high contrast lenses to improve color enhancement, an optical lens originally developed for the military and providing the ultimate in clarity, comfort and protection. 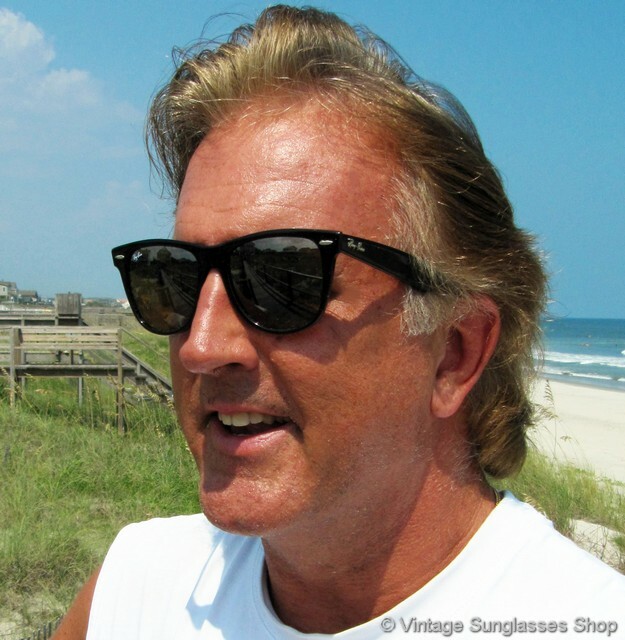 These lenses are further enhanced with the Top Gradient Mirror finish, blocking out a large percentage of blue light that makes them perfect for driving, action sports, and just about anything else. 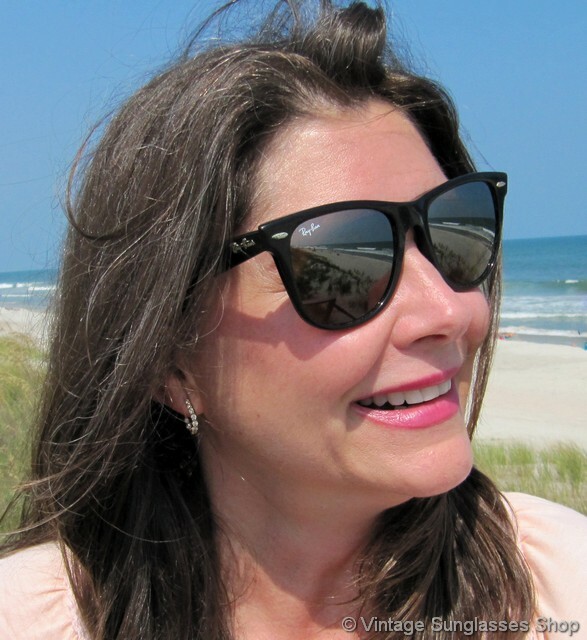 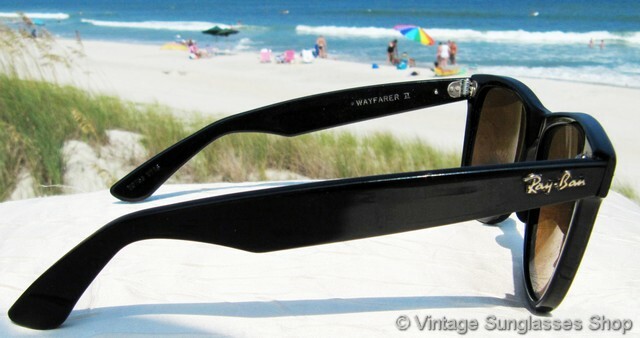 It's a wonderful variation in classic B&L Ray-Ban Waferer sunglasses, making these vintage Wayfarers both high performance and look super cool at the same time. 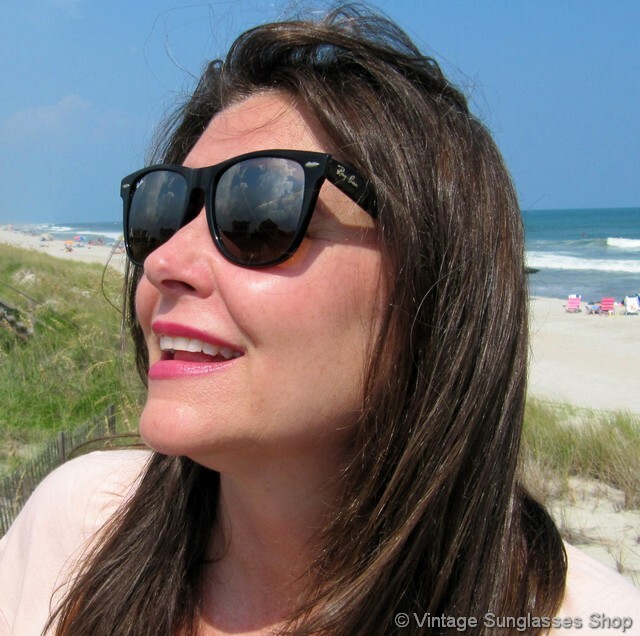 It's a good unisex frame that measures approximately 5.5" temple to temple with mirrored lenses that measure approximately 2.0" x 1.875" at the widest point. 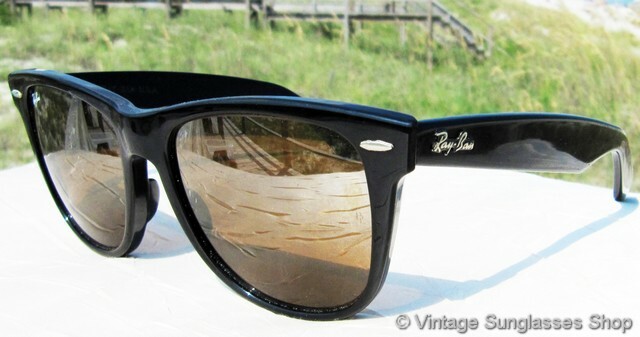 The Ray-Ban logo is in raised metal relief on the exterior of each black ebony ear stem, and the inside of one stem is marked B&L Ray-Ban USA while the inside of the other stem is marked Wayfarer II. 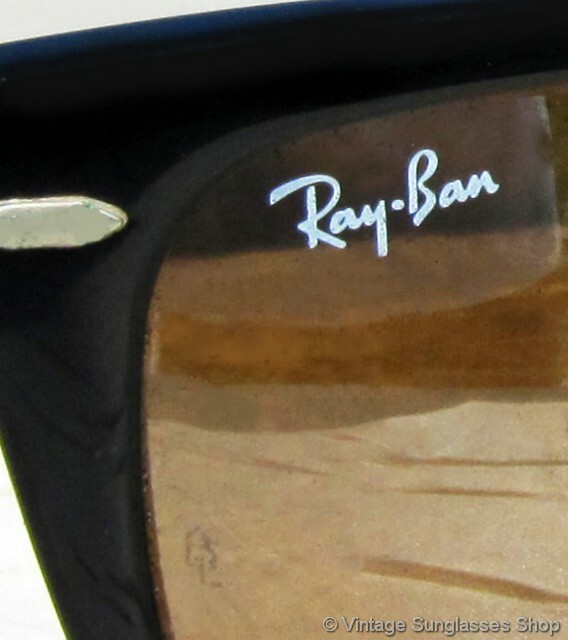 The Ray-Ban logo is laser etched on the right lens, and both lenses are laser etched BL near the hinges. 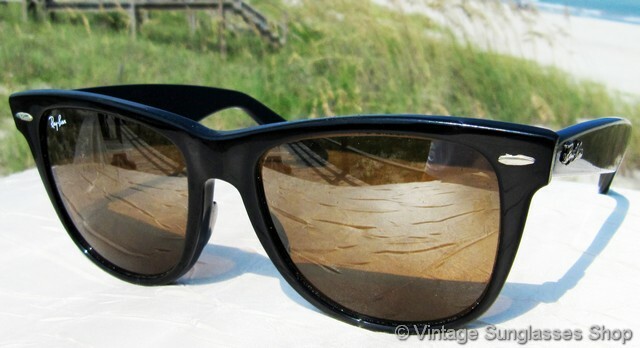 One ear pad is marked W0758 WTAS impressed in the frame. 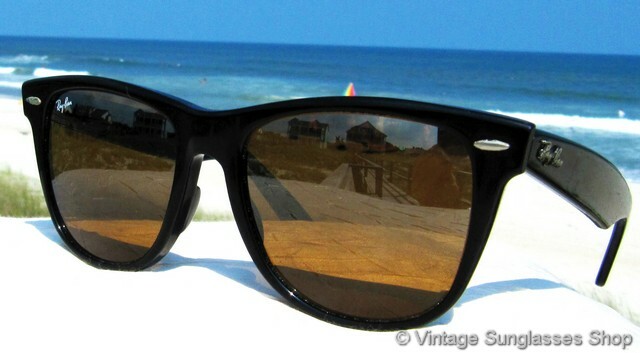 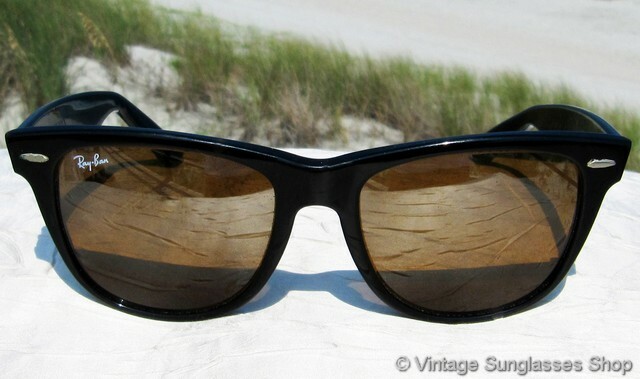 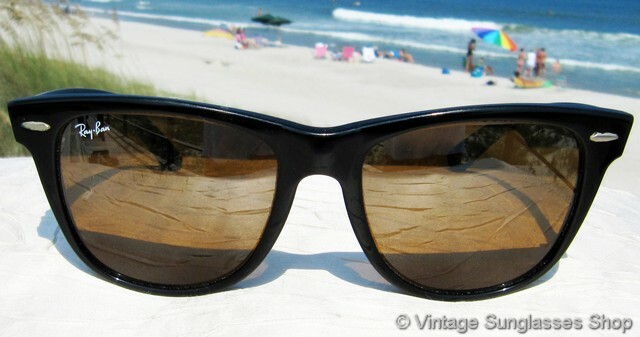 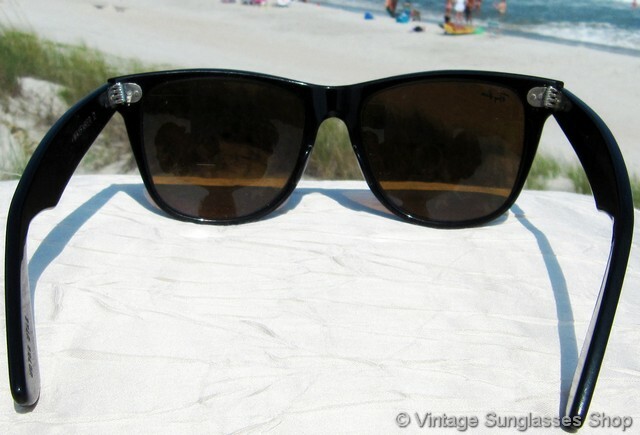 2 Step up another level beyond our already unequaled vintage condition standards with new old stock Ray-Ban W0758 black ebony Wayfarer II top gradient mirror sunglasses in mint, unworn condition.